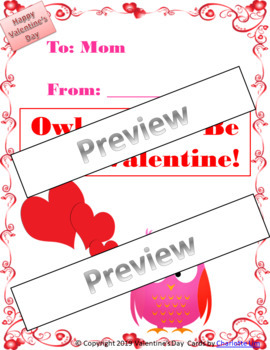 This bundle provides teachers and parents with New Year’s Resolution activities and Valentine’s Day Cards to supplement either language arts, health and career and art lessons or to be integrated into Makerspace centers. 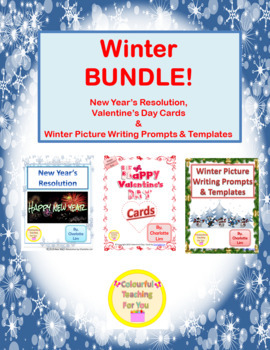 It also contains Winter Picture Writing Prompts & Templates. These pictures were specifically chosen to not only allow students to use their imagination while enjoying the creative writing process, but cater to the needs of those who are struggling with English or English Language Learners. 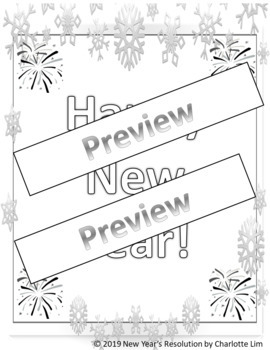 This is a great way to differentiate your teaching with 18 different prompts and templates that have been created in both vibrant colors (for teaching purposes) and black and white (for easy access to printing). If you want further please feel free to email me at colourfulteach@gmail.com.